If there is one thing I need during the week, it’s EASY dinner ideas. I always ask my family, “Hey Guys! What do you think you’d like for dinner?” My question is often met with crickets. My guys do not like to give me ideas, and that drives me absolutely crazy!! 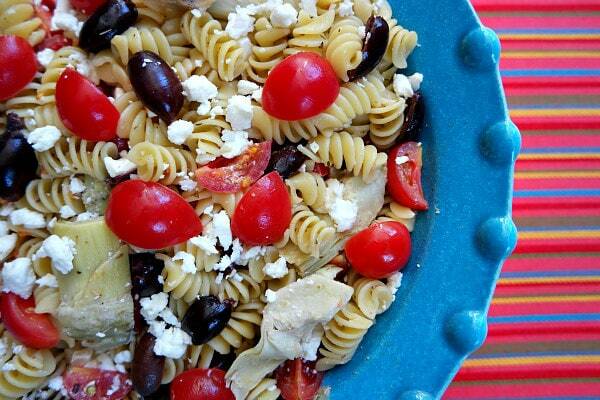 Weeknights are perfect for quick and easy dinner recipes. I usually save the more elaborate meals for weekends. 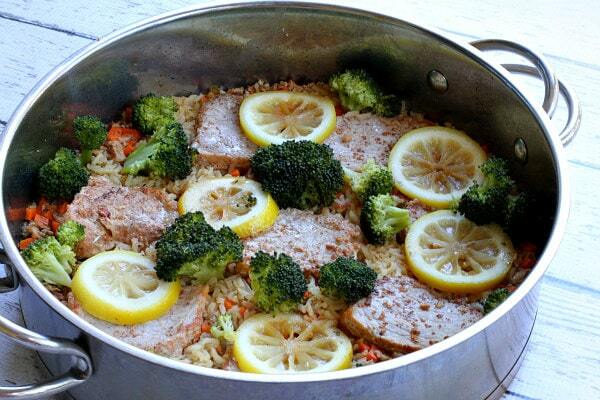 This pork and rice skillet dinner fits the description of quick and easy. 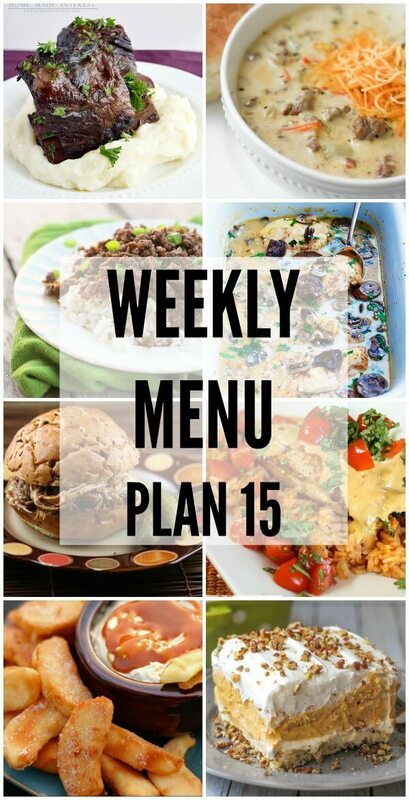 We are on week FIFTEEN of our weekly menu plan! We hope you have been enjoying each week of the recipes specifically designed to help you in your recipe planning. 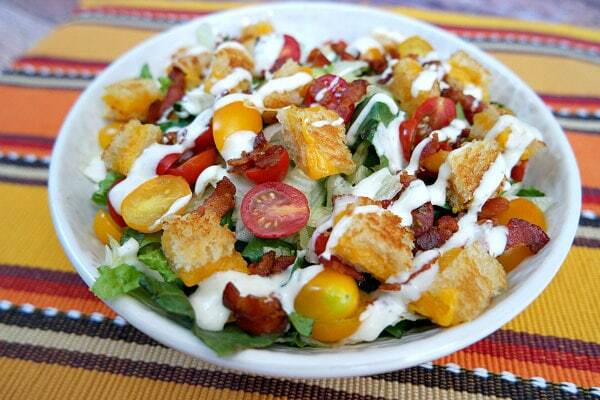 Yep, this one is a typical BLT salad with the addition of some grilled cheese “croutons.” The Newman’s® Own Ranch Dressing really finishes it off nicely. This is one that the kiddos will enjoy too! 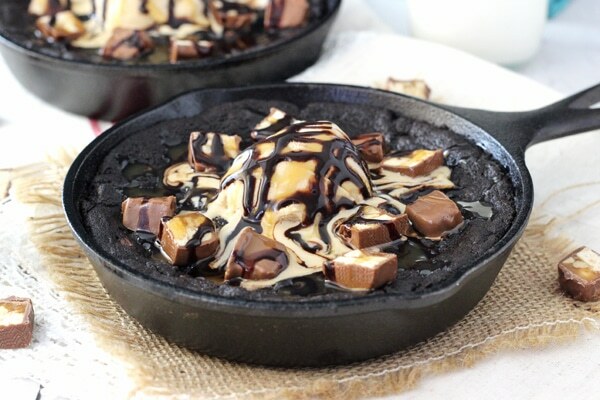 This Snickers Chocolate Chip Skillet Cookie is moist, chocolatey and full of Snickers! When served warm and with a scoop of ice cream, it’s pretty irresistible too. My husband is a big cookie guy. I’m all about the cake, but as soon as I make cookies, I have to hide them from him so that they don’t disappear. I can hardly get pictures of them before they are half eaten. And I’d say it’s hard to argue that there’s anything better than a warm cookie, fresh out of the oven. One of the great things about skillet cookies is that’s how they are supposed to be served – warm and amazing!